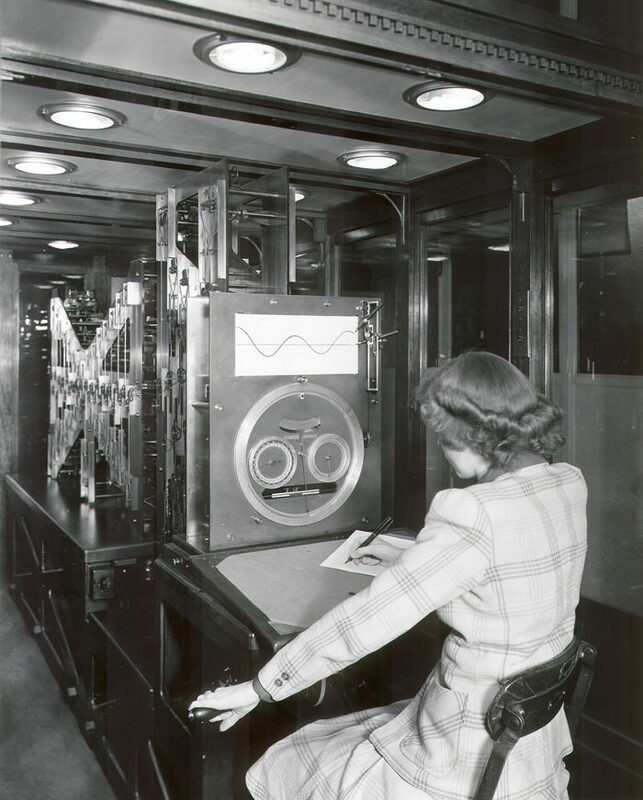 This image shows a female analyst operating the U.S. Coast and Geodetic Survey tide prediction machine No. 2 during World Word II. Today, tide predictions are computed electronically and distributed on NOAA’s tides and currents website.